A lonely goal by Wout Weghorst was enough to lift VfL Wolfsburg to a victory over Hertha Berlin in the German Bundesliga. 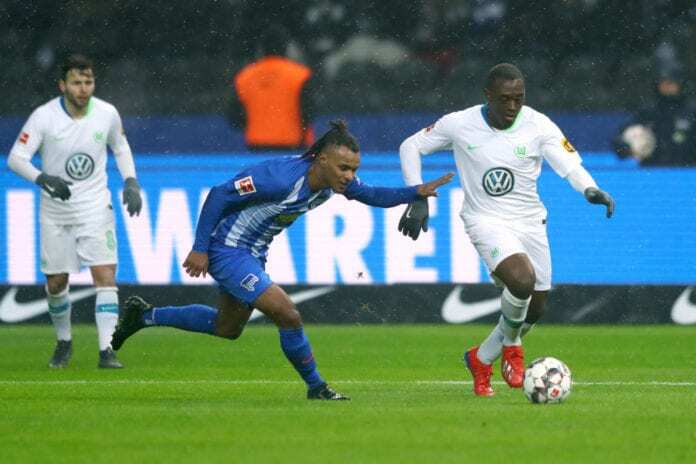 2019 was not up to a good start for German Bundesliga team VfL Wolfsburg. The team lost against Schalke 04 on January 20th, 1-0. Then they were trashed 3-0 by Bayer Leverkusen on January 26th. But today, a lonely goal by Wout Weghorst allowed them to defeat Hertha Berlin 1-0. For coach Bruno Labbadia, today’s victory is very sweet. “It’s a nice win, and one the team really deserved. You could see how much effort my team put in against a similarly well-organized side,” he told the team’s official website. “Hertha are a side capable of scoring from nothing but our defense stood firm throughout,” he explained. “It was a little bit hairy in the second half because we gave the ball away too much, but all in all it’s a deserved win for us,” he commented. The team is currently sitting in the sixth position of the Bundesliga table with 31 points. They are 18 points away from first-place Borussia Dortmund. On the other hand, Hertha Berlin coach Pal Dardai praised the rivals after the win. “Due to their attitude and physical commitment, Wolfsburg were deserving winners. In terms of chances created, I don’t think either side was better,” he said. “At the end, we had a chance to equalize but Wolfsburg showed they wanted the win more with their desire and physical commitment, which is why they’re deservedly going home with three points,” he concluded.